Georgetown has many fine restaurants offering a wide range of cuisine from contemporary American to Mediterranean, to French or Latin American fare. Our on site restaurant at the Georgetown Inn Washington DC, The Daily Grill offers great food anytime of the day as well as in room dining and a full service lounge. If you’re looking to get out and about in Georgetown, we recently created a list of some top choices for dining within walking distance of our Washington DC hotels. We used suggestions ranging from locals to the Washingtonian’s list of 100 Best Restaurants to create our list of the best options for breakfast, lunch and dinner. 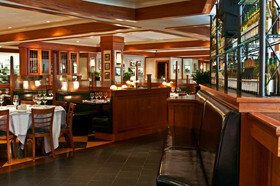 Washington DC Hotels: Georgetown Inn : Dining Guide Enjoy!